Here at Damaris Dreams I am inviting you to come along my journey of Visionary Art and Writings. In doing so, I hope you will be enlightened to a path of your own inner Artist! This site will offer you a diverse understanding of Peace through Art, and brighten paths for personal growth. I welcome you to contact me for Art and Writing commissions . Categories; Abstract Art, Logo Design and General Photography, Business Ads, Songs, Wedding Vows and Personal growth Mantras. Mystique, passion and intrigue take you on a journey in this book that will leave you enlightened and longing for your own adventure. Follow the charismatic adventures of Gypsy’s fate that affects everyone around her. A tapestry to unweave. Jet setting from Paris to US to Sweden and many other countries; Gypsy is secretly helping to save the world with Interpol while flaunting her legitimate cover as a fashion mogul. Underground and undercover! Deep embedded secrets that change the lives of the family and friends they cherish are revealed. Gypsy has many accomplishments and is also a pilot, martial art master, and speaks several languages. Humor will definitely get you off the runway in this book. Enjoy the journey and you will never forget the ride. Love your book! It's written in such a different format...something introspective and creative. Great combination. "Till You and I Found Us"> This book was unbelievable. It was full of twists and turns at every corner. Just when think you know what is going on, a surprise is thrown at you, leaving you guessing and wanting more. The bits and pieces all fall together in the end that you never would have guessed! I was all thrilled/enamored to read your well-crafted, superbly-scribed TYFU-intro' stuff, its really enviable. I just got my copy of "Till You and I Found Us" and I can't put it down. What a beautiful wordsmith. The sentences flow in a tapestry of fine threads. Get your copy now! 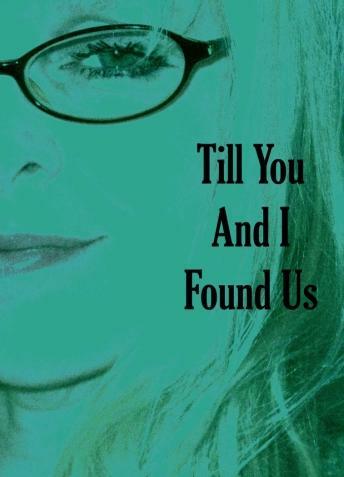 You have got to go to this woman's site and get her book, "Till You and I Found Us" it is a must read. I just got it yesterday and am totally absorbed. Tremendous writer, thinker, photographer and artisan. A note from India: My life has and always will be about creating and recreating myself, which I evolve in with my art and writing. Growing up in a multicultural historic mountain town out west fed flavor to my creative nature and has always taken me many places when I write. The great outdoors was and still is my palette. I sat up in trees, read a lot and always had my camera. Now a days I enjoy hiking to new places, being on the ocean's coast, riding horses when I can and yes, I still take the camera everywhere. Writing this book was pure joy, writing my dreams into idealism. I hear many say, "Oh, I could never write a book". My answer is always this, "Have you even tried to change your mind!" At the age of 10 after writing much poetry, several short stories and mini plays I vowed that one day I would write a novel, and a long one. Well here I am and it is 444 pages! Rookie is my claim to any imperfections and accomplishment is my reward. A jet set woman named Gypsy, a woman of many appetites and classy. Plenty of descriptive scenes and witty conversations. A unique story. Many interesting, colorful characters, quite diverse personalities. Inside intimate personal stories, everyday folly and sharing in extraordinary places. Always meeting someone, always going somewhere. Issues of love, lust, dating and "what's going on in your mind?" From Africa to who knows where next, these social lights, friends, family and people with a lot of connections, keep you moving from paragraph to paragraph and page to page. A lot of truth about people's emotions, thoughts and behaviors. Complete action and adventure! No boring pages here."